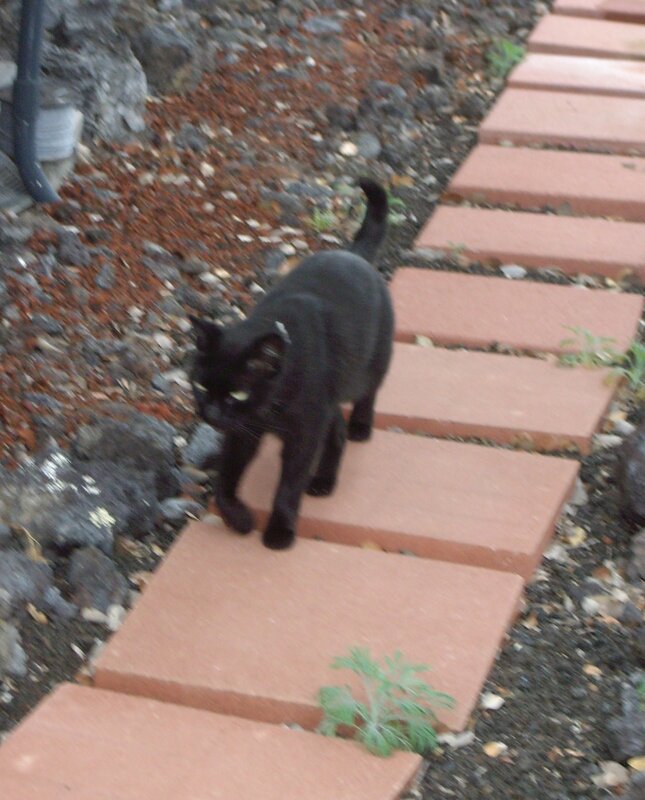 Kaimana wanted to join me on a garden stroll today. He came up just as I finished watering the Chard Charlolette (red chard) seeds I planted a few days ago. You’ll get to see them as they grow. As I was winding up the garden hose, I noticed a few bits of color in my patio area. 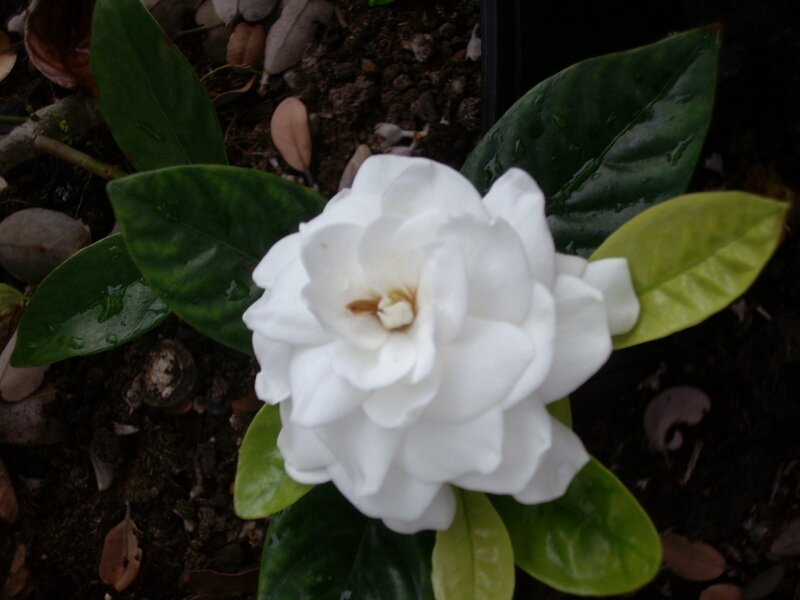 One of the buds on my gardenia had opened up. Several others will be opening up before long, I’m sure. Near the patio entrance the baby bell peppers are growing strong, and the plant is covered with tiny buds and microscopic peppers. 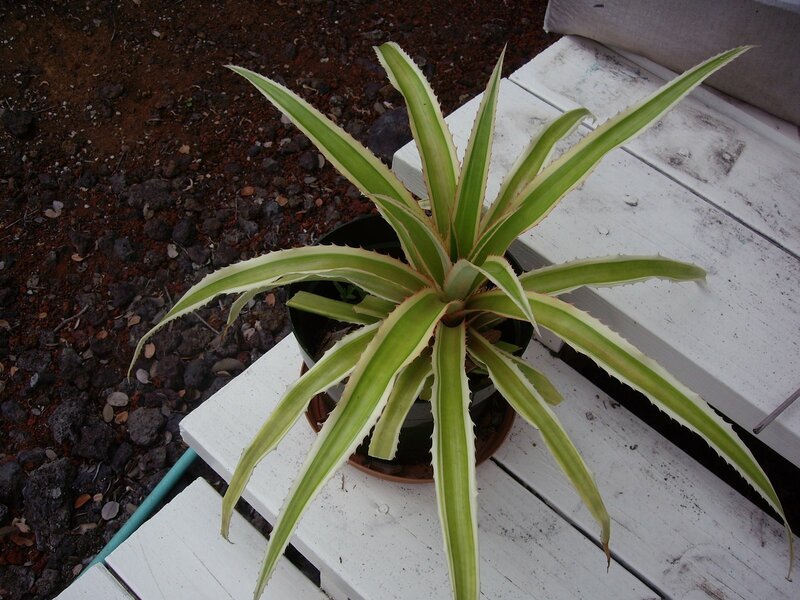 On the back steps, there is a dwarf ornamental pineapple (Ananas nana) that I’ve been pampering. After a year of settling into a new pot, it is finally sending out new growth. Eventually it will send out miniature pineapples that I have been told are not edible. In some parts of the world, they are considered collector’s items. Almost all gardeners I know here have at least one in their yard. 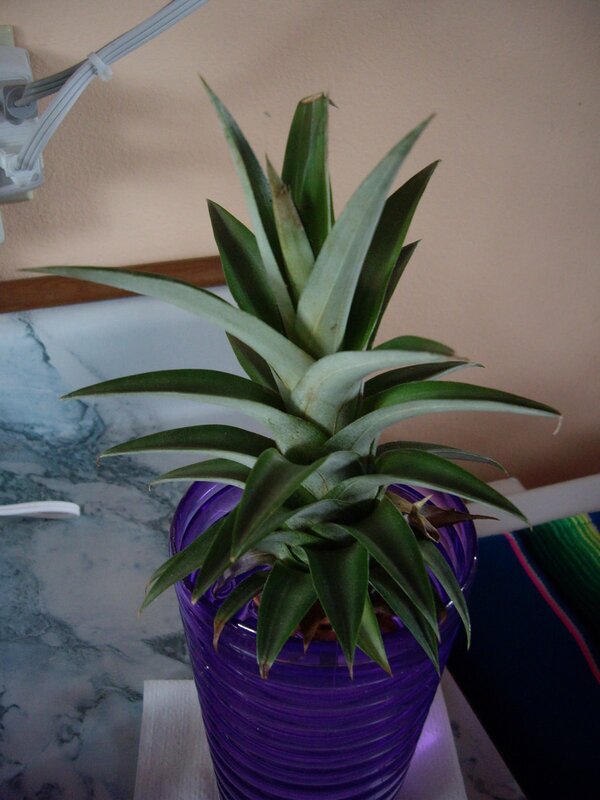 Another project that is fun for both children and adults is to grow your own edible pineapples (Ananas comosus). This is another plant that is in almost every garden I know here. The way to do this is to twist off the top of a fresh pineapple, set it in a glass of water and let it grow roots. Be sure to wear a heavy garden glove or oven mitt! Some of the websites say to cut off the crown of the pineapple, but I find that twisting it out is the best way. It may take several months for roots to form. After the roots are fairly well on their way, you can plant it into soil and watch it grow. Depending on where you live, you should get another edible pineapple within two years. 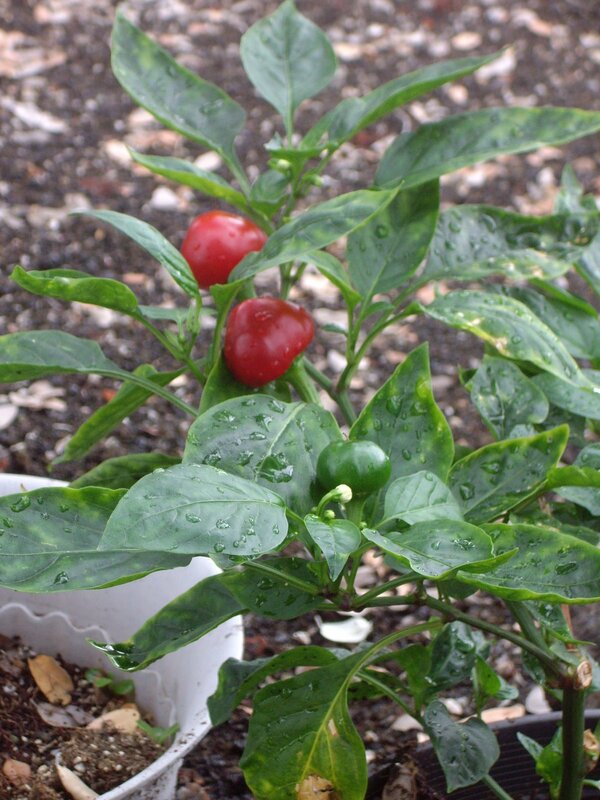 It likes full sun, can withstand dry conditions, and likes a moderate climate. For some, it may be simply a beautiful and unusual house plant; for others living in more tropical areas, it can be put right out into your garden. In the next season, other baby pineapple plants will form around where mama pineapple had been. When my brother first visited me in Hawai`i, I gave him some pieces of white pineapple of one freshly picked from the garden. He said it tasted almost like a sweet alcoholic drink. I don’t think he ever tasted anything quite like it.